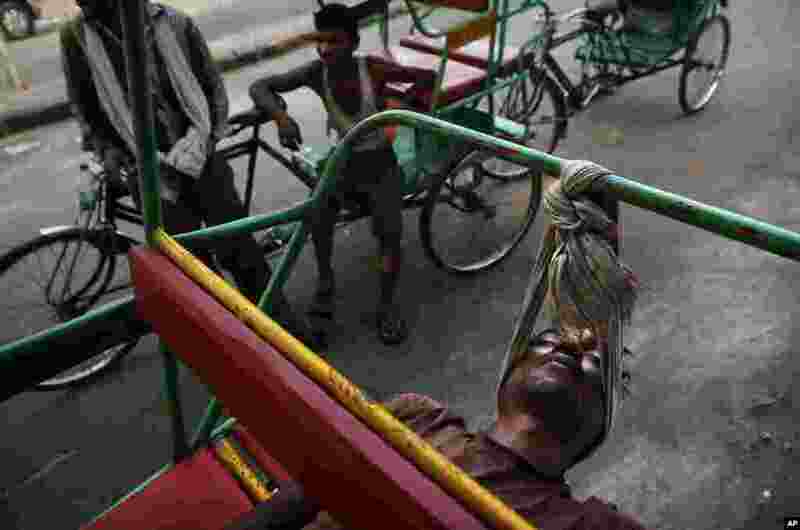 1 An Indian bicycle rickshaw walla uses a scarf to rest his head while sleeping on his rickshaw in New Delhi. 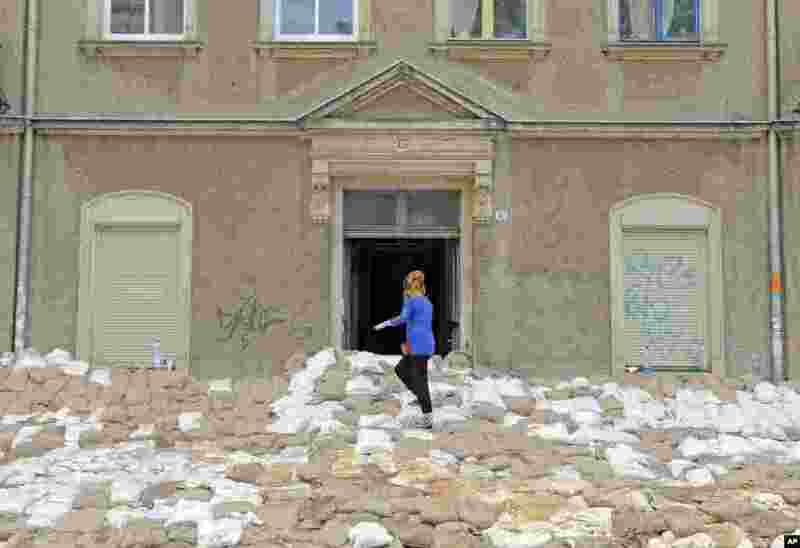 2 A woman stands on a wall of sandbags in front of a house in Dresden, eastern Germany. Heavy rainfalls have caused flooding along rivers and lakes in Germany, Austria, Switzerland and the Czech Republic. 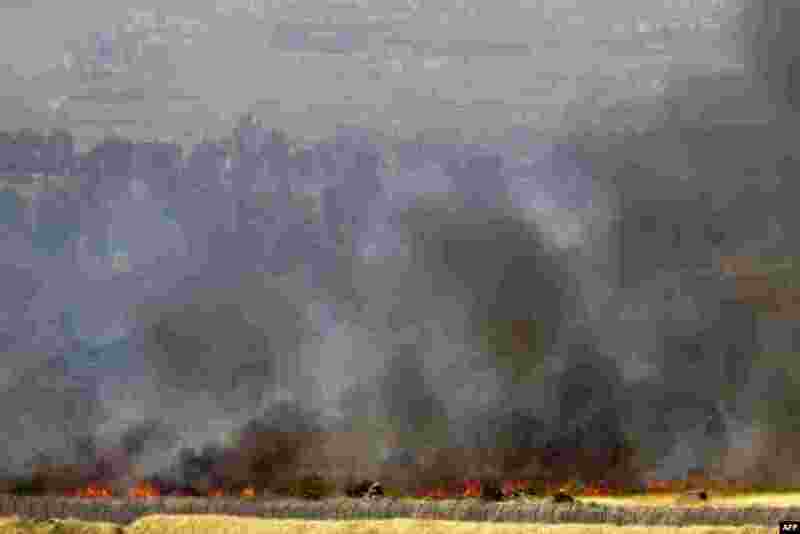 3 In this picture taken from the Israeli side along the Israel-Syria ceasefire line in the Golan Heights shows smoke billowing from a fire caused by clashes between Syrian rebels and forces loyal to the regime near the Quneitra crossing. 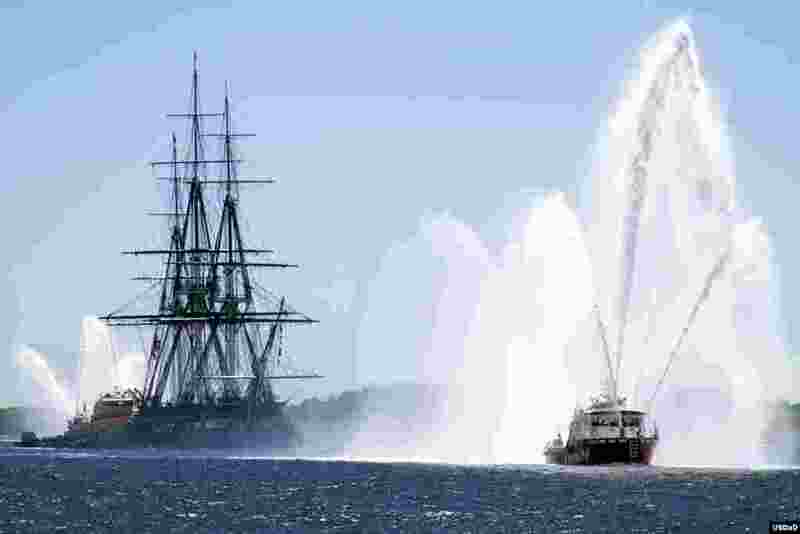 4 USS Constitution is escorted by a Massport Fire Rescue boat during her first turnaround cruise of 2013 in Boston, Massachusetts.